Increased competition for advanced product designs is driving the market for supercritical coal technologies. Siddhartha Raina, analyst for power and utilities at GlobalData, reviews recent developments. Awareness of the need to increase efficiency and reduce emissions has paved the way for advancements in SC technologies. This is primarily because they facilitate a reduction in harmful greenhouse gas emissions. The need for cleaner, more efficient and economical coal power has fuelled the evolution of ever more advanced product designs in supercritical (SC) technologies. SC and USC pulverized coal (PC) units operate at higher temperatures and pressures in order to achieve better efficiency and produce fewer CO2 emissions. Power capacity additions are expected to be heavily dependent on coal-fired power plants despite government polices to leverage the outcomes from renewable sources. The need for cleaner, more efficient and economical coal power has fuelled the evolution of ever more advanced product designs in supercritical (SC) technologies, raising the bar for equipment manufacturers working in the sector. Increasing competition in development of SC technologies that meet operators’ diverse project requirements, as well as offer clear environmental benefits, has created a range of available equipment, driving forward the implementation of supercritical technologies. Examples include thin boiler walls to reduce the start-up time, turbines compatible with SC boilers, better furnace designs comprising of vertical and spiral configurations, and tower and two-pass designs. "SC and USC pulverised coal (PC) units operate at greater temperatures and pressures in order to achieve improved efficiency." Since the 1980s boiler technology has evolved from subcritical to supercritical to ultra supercritical (USC), increasing the efficiency of power plants. The basic difference between SC and conventional subcritical technology lies in the steam / pressure conditions. SC and USC pulverised coal (PC) units operate at greater temperatures and pressures in order to achieve improved efficiency and produce fewer CO2 emissions. According to the World Coal Institute, new PC-fired units that incorporate SC and USC technology attain higher operational efficiencies than conventional PC-fired units. In SC and USC steam conditions the water in the boiler is subjected to such high temperatures and pressures that no clear distinction is left between its liquid and gaseous phase. "The basic difference between SC and conventional subcritical technology lies in the steam / pressure conditions." In SC technology, water reaches a pressure of more than 221 bar (saturation temperature 370°C). At an operating pressure of up to 190 bar the cycle is known as subcritical, indicating a non-homogenous mixture of water and steam in the evaporator section of the boiler. Other terms such as advanced supercritical (ASC) and USC signify further increases in the steam / pressure conditions to enhance overall efficiency. ASC operates above the critical point for water / steam (250 bar), whereas USC operates at an even higher pressure of 290 bar. Steam turbine cycle efficiency gains are evaluated through increases in steam pressure and temperature. Drastic improvements in power plant performance can be achieved by increasing inlet steam conditions from the conventional 165 bar / 538°C (2,400 pounds per square inch [psi]/1,000°F) single-reheat cycle to levels up to 310 bar (4,500 psi) and temperatures to more than 600°C (1,112°F). Every 28°C (50°F) increase in throttle and reheat temperature results in approximately a 1.5% improvement in the power plant’s heat rate. The most recent advancements in boiler technology have been made through improvements in expansion efficiency by reducing aerodynamic and leakage losses, achieved through evolutionary advancement towards greater power density and efficiency. A high power density has been achieved through the development of improved rotor and bucket alloys along with improvements to the design and analysis of attachment devices for the vanes. This has resulted in increased allowable stresses, enabling the construction of longer last-stage buckets for increased exhaust area per exhaust flow. Additionally, the higher reaction and decreased root diameter result in additional stages, which improve the section expansion efficiency. Increasing awareness of the need to boost efficiency and reduce emissions has paved the way for advancements in SC technologies, because they facilitate a reduction in harmful greenhouse gas emissions. "Increasing awareness of the need to boost efficiency and reduce emissions has paved the way for advancements." While the global efficiency level of an average coal-fired plant is currently 28%, state-of-the-art SC coal-fired power plants can achieve an efficiency of more than 45%. They also require less coal, which additionally reduces emissions and fuel costs. As such, SC has become the norm for new plants in industrialised countries. Companies around the world have undertaken various joint initiatives in order to further increase the use of SC technologies in the power market. In years to come, power capacity additions, especially in the Asia-Pacific region, are expected to be heavily dependent on coal-fired power plants, despite government polices to leverage the outcomes from renewable sources. 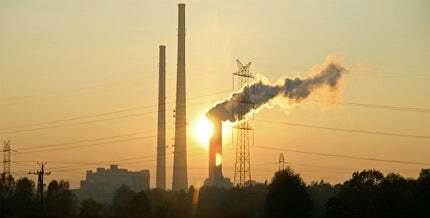 Particularly in countries such as India and China, where most power is generated from coal, government and power utilities are focusing more on SC technologies to reduce emissions and enhance overall efficiency while providing clean, secure and economical power. IBM’s Smarter Energy Research Institute spent the last year developing practical, data-driven tools to help transform utility operations.